A similar geographical region to the Arkansas River Lowlands, the Wellington-McPherson Lowlands is considered a separate physiographic area, which also consists of alluvial deposits. The region is located in Harper, Sumner, Kingman, Sedgwick, Harvey, Reno, Rice, and McPherson counties. These deposits sit on one of the largest salt deposits in the world. The Hutchinson salt bed underlies much of central Kansas and is up to 400 feet thick. 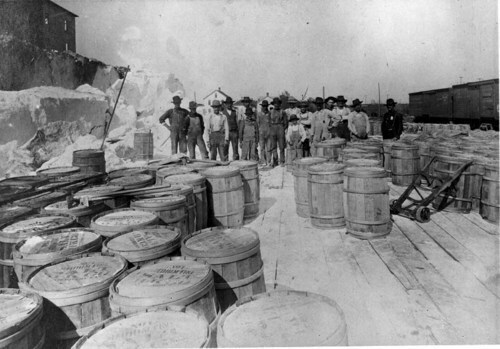 Salt mining has become an important industry in the region. Another important feature of this geologic area is the "Equus beds" aquifer. This large aquifer provides water for Wichita, McPherson, and Newton. Interesting sites in these regions include the Kansas Underground Salt Museum, Gypsum Creek, and Sand Hills State Park.